Smartphones have become part and parcel of everyone’s life. 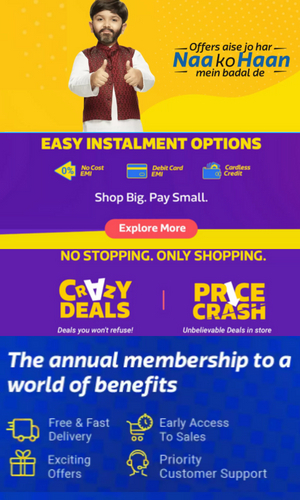 The credit for this goes to the innumerable functionalities a smartphone offers. Some of these functionalities could be online shopping, trading and managing business etc. The smartphone is powered by a battery that is lodged inside the smartphone. Present day mobiles’ battery consumption rate is very high considering all the multiple functionalities that it needs support. Today I'm going to write best power bank 10000mAh reviews so that you can know more about it. A mobile’s basic functionality which is making and receiving calls tops the list of power consumption of a battery. The rate of consumption depends on whether the phone is in a low signal area or high signal area etc. Apart from this, display of the phone, data services, and GPS etc. are the most common battery drainers in a smartphone. All these add up to the huge demand for power in smartphones. Now let’s try and understand how a power bank works and also review a bit about the multiple different types of power banks available in the market. Universal Power bank: They come supplied in different sizes and configuration. Based on our budget and purpose of use, we can tailor them according to our need. Solar charged power bank: These power banks come supplied with photovoltaic cells which can charge the internal battery when exposed to sunlight. However, the downside is getting the batteries charged with sunlight is a long process. Hence, they are also capable of getting charged via USB cable. Battery phone case: These cases are device specific and are very narrow when it comes to device compatibility. As we all are already aware that Apple has bigger acceptance rate and large market in the US. Hence, these battery phone cases are more common with iPhones. Since they are device specific, the cases that are made for iPhones remain exclusive to those phones and cannot be used to recharge the battery of other phones. Lithium ion vs Lithium Polymer: Power banks with Lithium-ion battery are generally cheaper and they are not as efficient as Lithium Polymer when it comes to power retention. Meaning, Lithium ion batteries have a faster rate of battery discharge when compared to Lithium Polymer. Also, the Lithium Polymer batteries get charged at a faster rate when compared to the Lithium-ion power banks. Further, Lithium Polymer power banks have increased life span providing more recharge cycles than the Lithium-ion power banks which have less number of recharge cycles. There are the Nickel Cadmium and Nickel Metal Hydride batteries as well. However, they suffer from ‘memory effect’. The memory effect causes them to hold less battery. 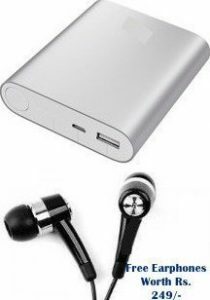 Hence, Lithium Polymer 10000mAH power bank fares better than Lithium ion 10000mAH power bank in the best power bank 10000mAH category. mAH: mAH is the unit of electric charge and it is the most common way to express the capacity of batteries. The full form of mAH is ‘milli-amp hour’ of ‘mill-ampere hour’. The more the mAH of a battery, the more power the battery can store. However, unless you are extremely mobile with high usage of data and avid gamer on the mobile or tablet, a 10000mAH power bank would suffice your smart device power needs. Power banks come supplied with a USB input socket and output socket. This may vary in some of the power banks. The USB cable can be plugged into a laptop or it can be directly plugged into a wall socket. Plugging the USB cable into a laptop will consume a lot of time to charge the power bank. Whereas charging it by inserting the USB cable into a wall socket will charge the power bank at a faster rate. The nature of the battery also plays an important role in deciding the rate of charging, the length of time of power retention and also the rate at which power gets discharged. As mentioned earlier, Lithium Polymer batteries are extremely efficient in retaining power and also have a low power discharge rate when compared to their counterparts. The rate of getting completely charged also depends on the total capacity of the battery. A power bank with higher capacity or mAH usually takes more time to get completely charged than the one with lower capacity. As mentioned in the beginning, the source of power also plays a determining role when it comes to deciding the total time of charging. 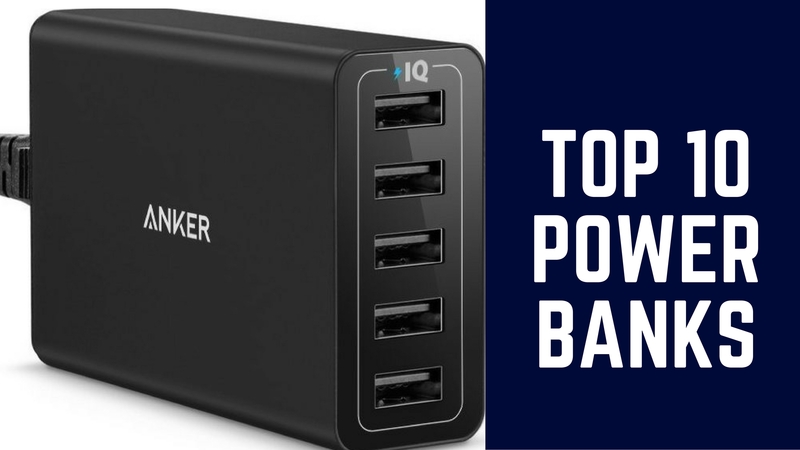 While determining the best power bank 10000mAH category, one has to understand the multiple features that a power bank provides and also ensure that the power bank we are going to judge supports all those features. Safety features such as surge protection and high voltage protection are important features that need to be considered while purchasing a power bank as voltage fluctuations in India are common and without these features, the device may not survive for long due to the changing voltage. Some power banks have the extra feature of auto shutoff once the device it is connected to is completely charged. This has two benefits. One is the charge in the power bank is saved and the second benefit is over charging of the connected device is prevented. This seems a safety and power saving feature. 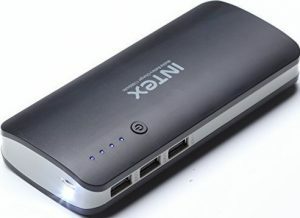 All the above prove important in determining the best power bank 10000mAH category. Below this, you will find the best power bank 10000mah Price in India. Also, check Power Bank 10000mAh Reviews and Features on Amazon. 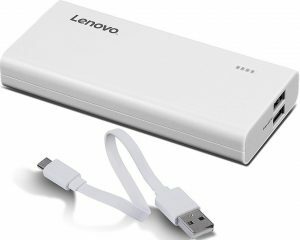 Description: The surprisingly lightweight power bank from Lenovo is a dependable device when it comes to charging consumers essential devices such as a smartphone. With its lightweight and slim finish, it is easy to carry around. Though light in weight, the device is capable of charging mobile phones, tablets etc. at a faster rate with its two fast charge output ports. LED lights indicate when it is time to charge the power bank. Its cabin pressure relief chamber technology provides safety relief tank that safeguards the device from batteries overheating, input voltage fluctuations, output overvoltage protection etc. You can also read Lenovo power Bank 10000mAh on Amazon to get a better view of different people using it in daily life. Small yet powerful, the power bank is capable of charging smartphones, tablets at a faster rate Lithium-ion power banks have higher memory effect compared to Lithium Polymer batteries. Description: This powerful Power Bank 11000mAH is packed with super power that is capable enough to charge two devices simultaneously. The precise IC protection feature keeps the charging devices safe from short circuit or overcharging. The outer rough and tough body provide enough protection to the power bank which makes it easier and convenient while going on an adventurous trip. The power bank charges completely within 9 hours of time. Integrated intelligent power management system for steady and maximum charging efficiency. Description: This Power bank 10000mAH fromAmbrane made lithium-ion this power bank is a portable charger with dual output. It can charge two devices simultaneously. The device comes supplied with a torch, a feature that comes handy when there is a power outage or when going out on an adventurous trip. The LED light indicators display the power availability information. The device is capable of charging all variety of smart devices such as tablets, mobile phones etc. Ability to charge two devices simultaneously. Description: This power bank is easy to carry yet efficient in charging devices. Huawei Honor power bank has a large 13000 mAh capacity which lets you charge your iPhone 6 up to four times. 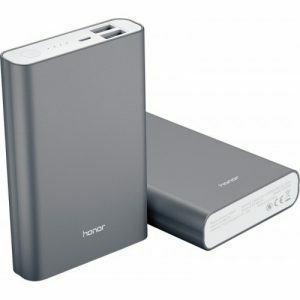 You can also purchase Huawei Power Bank Amazon easily if you find it difficult to buy at the official website. This Power Bank gives charging time of AC Adaptor Charging, USB Charging. Description: This device from Intext comes supplied with 11000 mAh Lithium-ion battery. The 3 USB 2.0 ports allow charging multiple devices such as a smartphone, tablet etc. simultaneously. 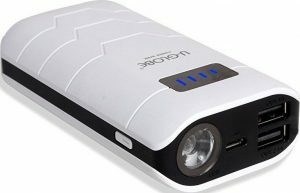 The unique feature of this power bank is the torch that is present as an inbuilt feature in the device. As with any other power bank, the power bank can be charged with USB cable that comes part of the package. Description: This compact 10000mAH power bank is easy to carry yet efficient in charging devices. Compatible to charge all devices, the power bank comes supplied with LED flashlight switch that comes handy while going on an adventurous trip or during power outages. Description: This power bank comes supplied with the extraordinary safety feature of auto turn off while charging other devices and also while loading itself with charge. This not only saves power but also prevents the device of getting overcharged which can reduce the life of the device. This compact device charges the devices at a very fast rate. The inbuilt LED torch comes handy during power outages. Description: This amazing power bank from Mi is small in looks but efficient in performance. The aluminum casing is water and corrosion resistant and provides an elegant look to this power bank with its smooth surface. Designed in such a way that it adjusts its output power level based on the device inserted within its USB for charging, the feature makes it compatible with wide variety of devices including Samsung, apple, Mi phone etc. The best power bank 10000mAH is optimized to provide efficiently and optimized charging and discharging. Description: Supplied with Lithium Polymer battery, this power bank from Romoss is not only elegant in its looks but also efficient in its performance. As with any Lithium Polymer batteries, this power bank has high power retention capacity and low energy dissipation. Blinking LED lights indicate the capacity of power. Its advanced safety feature such as the overcharge protection adds more value to the product. 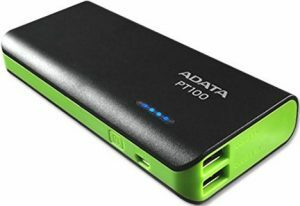 Description: Coming from well-known storage devices brand ADATA, this best power bank 10000mAH capacity can charge an iPhone 5 times and an iPad 1.5 times. With an impressive built the power bank is durable. The device gets on to its duty of charging as soon as it is connected to a smartphone or tablet and shuts off if kept idle for more than 20 seconds thus saving power. It comes equipped with 4 kinds of lighting modes including a flashlight, accent light, rapid flashlight and slow flashing light. With the increased adoption of smartphones among people across ages, there is more and more demand for power banks. Especially because of the fact that the scope of functionality of smartphones is only widening. Also, the extra features such as a torch, data transfer cable etc. are only increasing the need to use power banks. Romoss Lithium Polymer battery equipped power bank is undoubtedly the best power bank 10000mAH category with so many features loaded in it.